Cat Tales and Paper Trails: Sneaking in with a coffee card! 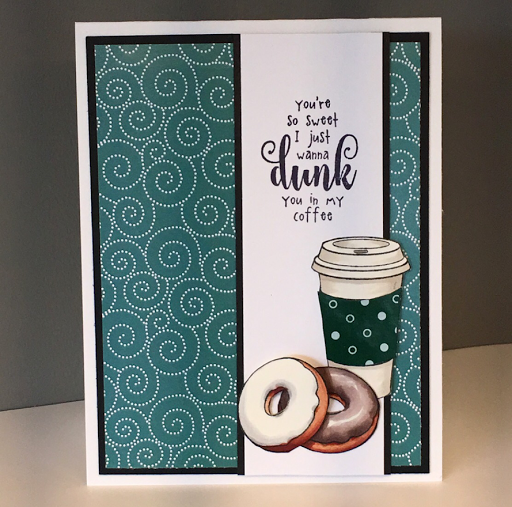 Sneaking in with a coffee card! 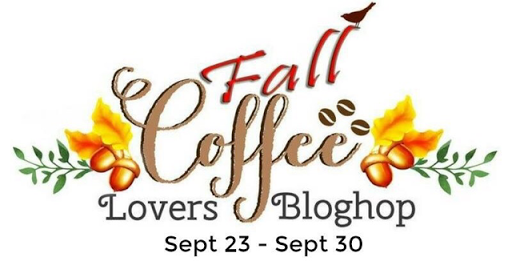 I love the Coffee Lover's Blog Hop, but I have had such a busy week, I didn't think I'd find time to get something entered. But this morning, I was up early and was able to go play while the house was quiet. The stamps and papers used are from Gina K Designs. It's an adorable stamp set called We Go Together. This is so much fun - love it. The only thing better than your card would be coffee with those awesome popovers you bake. Love how the pattern plays off the mug! Super cute, love that set. Your coloring is amazing. Coffee & cards...two of my favorite things. Beautiful job!